The leaders of the victorious countries met once more at Potsdam in July, 1945. Franklin D. Roosevelt, who had died in April, 1945, had been replaced by the Vice-President, Harry S. Truman. While the conference was taking place, the British General Election results were announced. The landslide victory of the Labour Party meant that Clement Attlee replaced Winston Churchill as Britain's main negotiator. Although Germany had been defeated, the USA and Britain were still at war with Japan. At Yalta, the Allies had attempted to persuade Joseph Stalin to join in the war with Japan. By the time the Potsdam meeting took place, they were having doubts about this strategy. Churchill in particular, were afraid that Soviet involvement would lead to an increase in their influence over countries in the Far East. 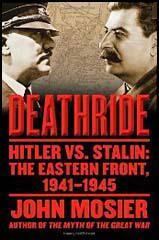 At Yalta, Stalin had promised to enter the war with Japan within three months of the defeat of Germany. Originally, it was planned that the conference at Potsdam would confirm this decision. However, since the previous meeting the USA had successfully tested the Atom Bomb. Truman's advisers were urging him to use this bomb on Japan. They also pointed out that its employment would avoid an invasion of Japan and thus save the lives of up to two million American troops. When Harry S. Truman told Joseph Stalin that the USA had a new powerful bomb he appeared pleased and asked no further questions about it. Truman did not mention that it was a atomic bomb and it appears that Stalin did not initially grasp the significance of this new weapon. However, with the dropping of the Atom Bomb on Hiroshima and Nagasaki in August, 1945, the Japanese quickly surrendered and the Allies were successful in preventing Soviet gains in the Far East. Stalin's main concern at Potsdam was to obtain economic help for the Soviet Union. Nearly a quarter of Soviet property had been destroyed during the Second World War. This included 31,000 of her factories. Agriculture had also been badly hit and food was being strictly rationed. Joseph Stalin had been told by his advisers that undernourishment of the workforce was causing low-productivity. He believed that the best way to revive the Soviet economy was to obtain massive reparation payments from Germany. Unlike at Yalta, the Allies were no longer willing to look sympathetically at Stalin's demands. With Germany defeated and the USA now possessing the Atom Bomb, the Allies no longer needed the cooperation of the Soviet Union. Stalin felt betrayed by this change of attitude. He believed that the death of Franklin D. Roosevelt was an important factor in this. The ending of lend-lease supplies to the Soviet Union immediately the war ended with Germany in May, 1945 and the insistence that Henry Wallace, the US Secretary of Commerce, resign after he made a speech in support of Soviet economic demands, convinced Stalin that the hostility towards the Soviet Union that had been in existence between the wars, had returned. In order to eliminate Germany's war potential the production of arms, ammunition and implements of war as well as all types of aircraft and sea-going ships shall be prohibited and prevented. Production of metals, chemicals, machinery and other items that are directly necessary to a war economy shall be rigidly controlled and restricted to Germany's approved post-war peacetime needs to meet the objectives stated in Paragraph 15. Productive capacity not needed for permitted production shall be removed in accordance with the reparations plan recommended by the Allied Commission on Reparations and approved by the Governments concerned or if not removed shall be destroyed. At the earliest practicable date the German economy shall be decentralized for the purpose of eliminating the present excessive concentration of economic power as exemplified in particular by cartels, syndicates, trusts and other monopolistic arrangements. In organizing the German economy primary emphasis shall be given to the development of agriculture and peaceful domestic industries. During the period of occupation Germany shall be treated as a single economic unit. (2) Walter Monckton, Britain's Solicitor-General, wrote about the Potsdam meeting on 3rd August, 1945. He (Truman) would come prepared on each subject with a short, firm declaratory statement of US policy, and when he had said his little piece he did little in subsequent discussion except reaffirm it. Winston was good but patchy. He was perhaps too ready to indulge in long dissertations which were evidently not to President Truman's taste. Stalin, on the other hand, spoke quietly, shortly, in little staccato sentences which Pavlov, his young interpreter, translated immediately into forceful English. 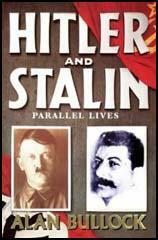 In the discussions Stalin was often humorous, never offensive; direct and uncompromising. His hair was greyer than I expected, and was thinning. His eyes looked to me humorous, and often showed as mere slits, but he had a trick of looking up when he was thinking or speaking, to the ceiling to the right, and much of the time he would be pulling at a Russian cigarette. The Gradual Growth of Administration in the British Zone. The decision of the Potsdam Conference to treat Germany as a single economic unit proved impossible to carry out. The victorious powers had made an agreement that required unanimity by the Control Council for every decision. (The Allied Control Council was the four-power body set up to decide questions concerning Germany as a whole.) But the four powers were never agreed on their programme for Germany and the Soviet Union in particular pursued its own policy. At first even the three Western powers disagreed over policy towards Germany. The four occupation zones were drifting further and further apart economically and the economic chaos grew from the spring of 1945 onwards. Germany's economic structure required an exchange of agricultural products from the East, and to a lesser extent the South of the country, with the industrial production of the Ruhr and of other industrial regions. This exchange was stopped by the division of the country into four zones. The zonal commanders acted on the directives of their respective governments and each pursued his own policy in his own zone. This could only further hinder an economy already largely paralysed by the ravages of war.